Despite the fact that I travel a lot for writing about wine, when I’m around in Priorat, I’m happy to lead tastings and tours. Sharing such great wines and opening up minds to how much more there is in Spain beyond Tempranillo I feel is a worthy cause. Priorat is a curious place however and whether someone wants my help or to explore it on their own, there are a couple of points I should mention so that people can know what to expect. As stated in the opening lines of my Priorat book, this Denomination of Origin and to a lesser extent, that of younger brother, Montsant are not Napa Valley. It is simply impossible to pull up a list of cellars, drive around, and taste like a maniac (in theory, spitting as you go.) Why is this? It’s for the simple reason that cellars are very small, family-run affairs and the person you get the tour from is probably going to be the owner or the winemaker or at the very least wear many hats on a daily basis. While these days about 30-50% of the cellars are happy to receive visitors, all but two require appointments ahead of time and it should be noted that these two only have drop in tasting rooms. For full visits you need to join one of their scheduled groups, ideally having made a reservation ahead of time. This may seem no end of annoying to those familiar with how very visitor-centric regions like Penedès, Napa Valley, Stellenbosch, or even most of France function. But while it may seem that those regions are more open, if you actually do want the full tour, you need to book that ahead as well. So in the end, it’s not that different, they just don’t have tasting rooms open 9-5 as the concept of buying wine at the cellar is not a vibrant enterprise as it is in France, Italy, or countless other places. Then of course there are the cellars that just simply don’t do visits such as Álvaro Palacios. Many people inquire about visiting the cellar as his wines are exported and represented well. In fact, if people have tasted any Priorat wines previously it will probably be the Palacios wines. Unfortunately, the general public just can’t do this visit. Same goes for Clos Erasmus but that’s due more to Daphne living most of the year in the US and not being physically available for visits. Think you’ll be able to snack, skip lunch and visit upwards of four or even six cellars in a day in Priorat? Nope. The main issue is that absolutely everyone takes a lengthy lunch break from 13-15h depending on the time of year. But the other issue is that the villages are quite far from one another. That 5-8km may seem like nothing but the twisty roads mean that it will take 20 minutes to go from one village to its neighbor. Longer trips are even more difficult as going from Falset, the capital to the monastery of Scala Dei takes 30 minutes for locals but about 45 for anyone visiting as it’s a very small, curvy road. Drinking much and driving is not advised. If just popping down for a day, try to avoid weekends as they’re a bit of a zoo with the local Catalan tourists and many cellars are closed. Mondays, many of the businesses in Falset are closed but the cellars are mostly open. 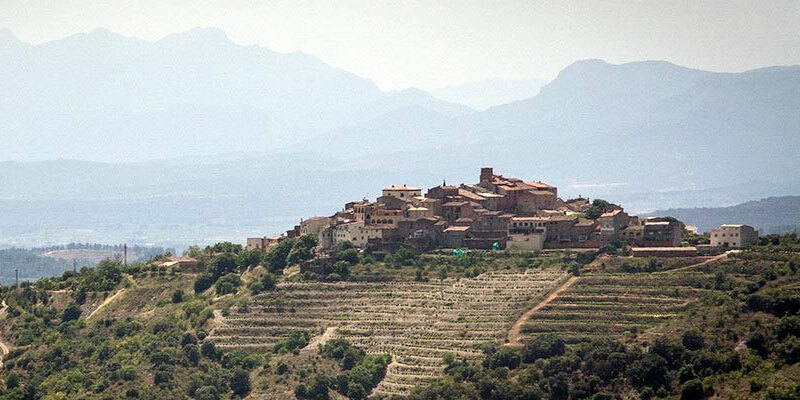 The second half of July, all of August, and Easter Week are also ill-advised for foreign visitors as the summer heat is at its most forceful in July and August and then, for Easter Week or “Setmana Santa”, Priorat is full to the gills with Barcelonians. For some reason, the Christmas Holidays have gotten to be a popular time, but be advised that many cellars close on the last Friday before the 24th and don’t reopen again until January 7th! In theory you’ll need your own car to get pretty much everywhere. You can indeed arrive by the train but I’ve encountered more than one group who land there and have no idea where to go as the station doesn’t even have a ticket office and is a touch outside Falset requiring the waiting shuttle bus to get into the town proper or, having a walk. I’m not sure what these people do but if you come by train, have a day planned out ahead of time or it will be a lengthy, albeit scenic trip from Barcelona along the coast to find yourself with little to do but go back. If you don’t feel like motoring your way around and want to taste wines by the glass, check out Vinum in Porrera or Vins i Olis, Calaix de Sastre, or Lotus in Falset who all offer a small selection of local wines to try as well as buy. In terms of full-on wine bars like you’d find in cities such as London or NYC, there really aren’t any–there have been several attempts but Priorat’s rather out-of-the-way nature has made such ventures difficult to say the least. But don’t take these words of warning as a reason not to visit. I write them just so that people can have the best time possible when arriving as it’s a beautiful region with even more stunning wines. See you soon! Hi Miquel, thanks to you and your book I’ve managed to go three times to Priorat region. I love it! My wife and I have a night booked at Clos Figueras after a night in Navarra region. I think I want to book at second night at another bodega before heading back to Barcelona. Any suggestions? Hello, any gastronomic wineries you suggest to stay at for a night?